SOURCE: Medieval Times USA, Inc.
BUENA PARK, CA--(Marketwired - April 27, 2017) - Why not give mom what she really wants this Mother's Day? A free* visit to Medieval Times Dinner & Tournament in Buena Park, California. According to a recent survey, 63% of moms wanted "quality time with family" for their Mother's Day gift. 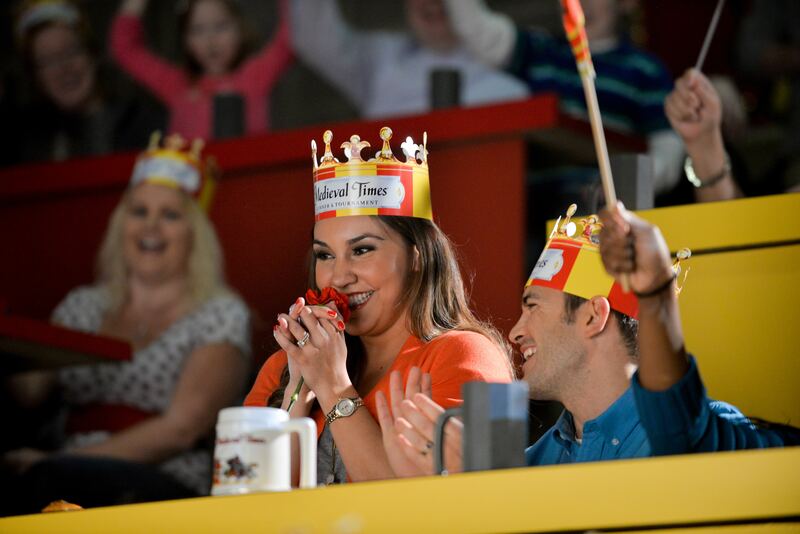 What better way to spend time with mom and get the entire family together than a visit to Medieval Times? The two-hour action-packed show and dinner is sure to please the entire royal family -- be it queen, king, prince or princess. To make mom feel even more special, upgrade her visit for $20 ($51 Retail) and get a special Mother's Day Package. It includes the Queen Bee Tote Bag, framed photo of Mom, and champagne, mimosa or cider in souvenir Medieval Times glass. *Moms get in FREE with a full-priced adult. Mention or enter code MD17 at time of purchase. May not be combined with any other offer or group rate. Tax, gratuity and applicable fees are additional. Upgrades are additional. Not valid on prior purchases. Valid for all shows Monday, May 8 - Sunday, May 14, 2017. Medieval Times Dinner & Tournament's California Castle is located at 7662 Beach Blvd. in Buena Park, CA. Medieval Times is Orange County's Celebration Destination and North America's No. 1 dinner attraction. About this company Medieval Times USA, Inc. Treat mom like a queen this Mother's Day. Mom is free at Medieval Times.